The Khabib-Conor feud has gotten out of hand. 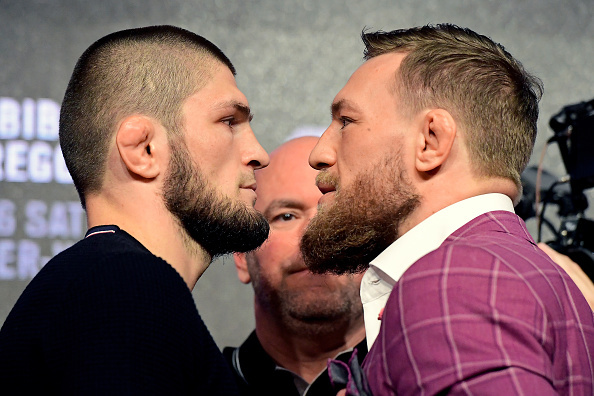 The Conor McGregor vs Khabib Nurmagomedov twitter beef has gotten so ugly that UFC President Dana White was forced to intervene. In a statement released by the UFC on Wednesday night, White says the promotion has reached out to both camps in an effort to de-escalate the vicious back-and-forth. White's statement comes just as the beef was really starting to turn ugly. Earlier this week, Khabib referred to McGregor as a "jealous wife," which prompted the Irish superstar's insulting tweet directed at Khabib's wife. Since then, Khabib has referenced McGregor's alleged sexual assault case, and said that Conor is no longer safe. Amid all of this, McGregor teased his return to the octagon on Wednesday night, following his brief "retirement." "I want to move forward, with my fans of all faiths and all backgrounds. All faiths challenge us to be our best selves. It is one world and one for all. Now see you in the Octagon." Both Khabib and Conor are still serving suspensions for their roles in the post-fight brawl at UFC 229, but once they're eligible to return Dana White will be looking at another record-breaking PPV event.